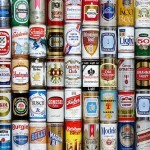 Happy Beer Can Appreciation Weekend! Home / News/Results / Happy Beer Can Appreciation Weekend! Happy Beer Can Weekend CityScapers! 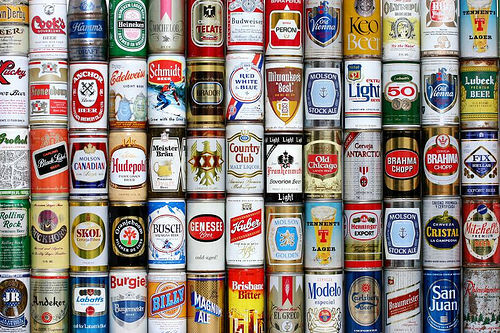 January 24th, 1935 was the first day a can of beer was sold. This may not mean a ton to alot of people but for some it means a change in life. Could you image hiking up a fourteener, mountain biking or paddle boarding with a bottle of beer? Of course not!! Not only would it potentially break but it is also illegal in many of the areas we like to play in!! So go out and celebrate Beer Can Appreciation Day with you and yours and embrace the freedom that this simple aluminum can has given you! Arizona & Texas... Here we come!! We are about to get busy here at CityScape!! With Arizona next weekend and Texas a few weeks after that we are neck deep in planning a new adventure for you! First we will be stopping at Bottled Blonde in Scottsdale for a great amazing race through Old Town Scottsdale then down to Tucson and Gentle Ben's Brewery near the UofA campus for some Southern AZ fun!! Texas of course brings us back to our favorites! Aussie's in Austin and The Friendly Spot in San Antonio. We looks forward to meeting new CityScapers and enjoying all the cities have to offer. How about Houston and a new race in Portland! That's right we are heading to Houston this year for the first time ever! We will be launching from the Flying Saucer Draught Emporium for a fun filled day of scavenger racing through Houston! So tell you friends, spread the word and let's make this a great day! Portland has been a great city for CityScape but we have only been there in the summer months. Well that had to change and Portlanders enjoy the day no matter what the weather. So join us at Kell's Irish Pub for an amazing day in Portland as you explore the uniqueness that keeps Portland Wierd!! The new year has begun and many companies are looking for new ways to engaged their teams for a productive year. Keep CityScape in mind!! We have created many events for companies such as Starbucks, Bank of America, Bankrate and many others! These events are customized to drive home the message, strategy and culture that makes these individual companies great! Check out our Corporate & Team Building page for more details.